With her contemporary looks, Heliotrope 65 Power House is the quintessence of Albatross Marine Design's philosophy of pairing functionality and safety with elegance. This luxury yacht is designed for long distance cruising while living comfortably on board. With both fly bridge and salon being very spacious she also offers ample opportunity to entertain. 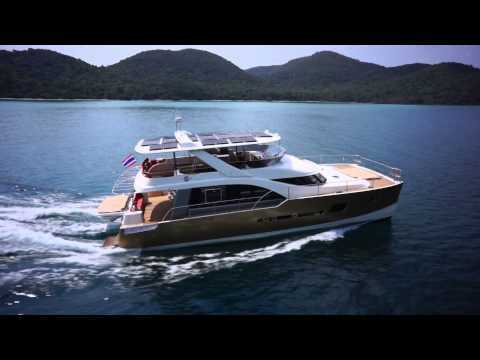 With solar output of up to 7 kW Heliotrope 65 Power House is one of very few mixed energy luxury yachts presently on the market.